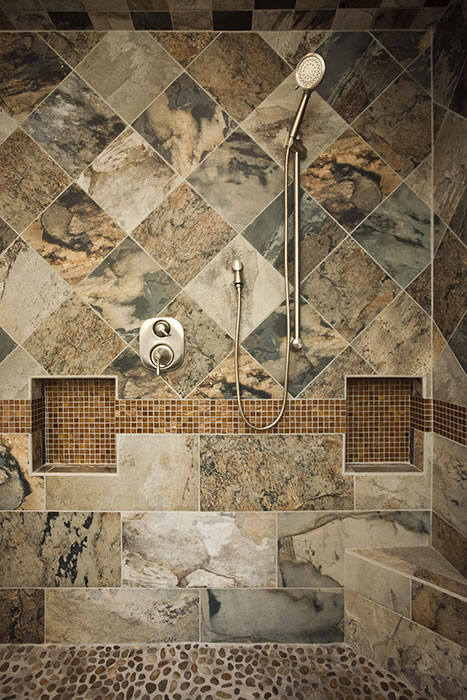 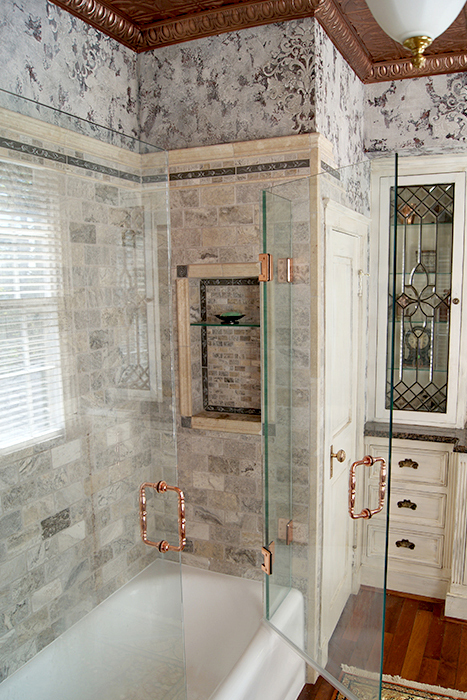 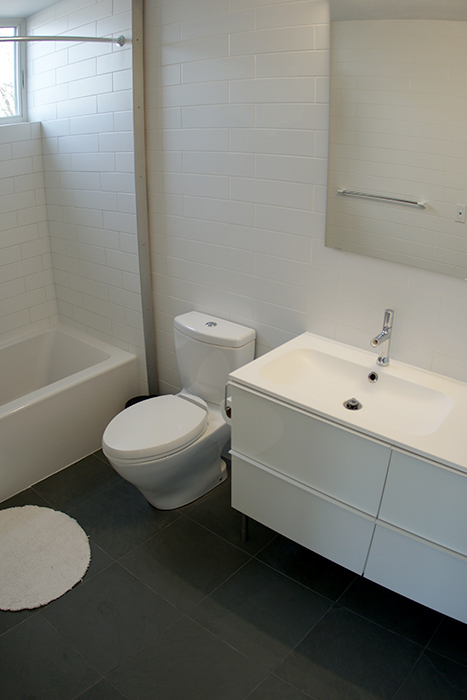 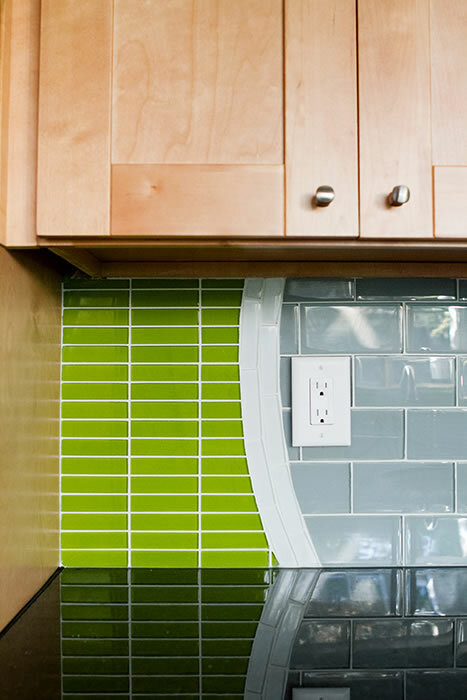 Wolf Custom Tile & Design is a Cincinnati-based tile design and installation company. 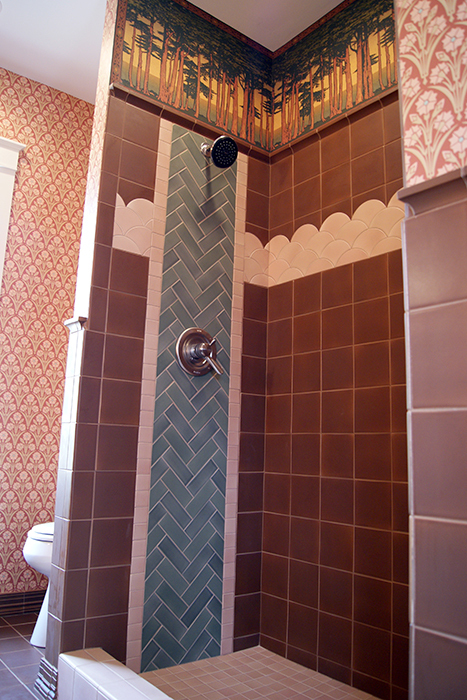 We specialize in artistic and unique tile works. 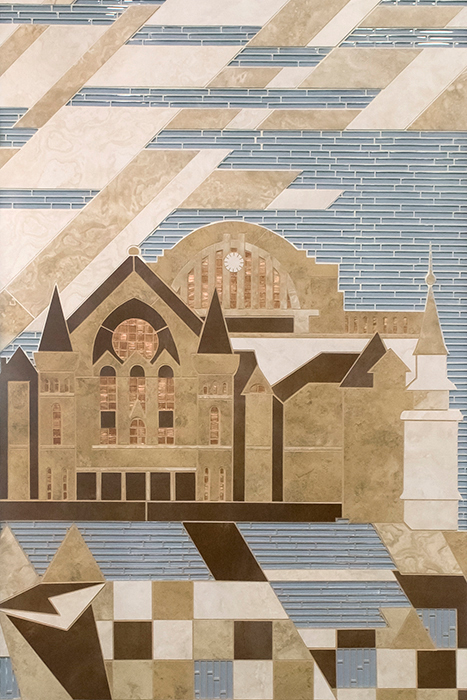 With 15+ years experience in residential projects, historical restoration and commercial centerpieces, WCT&D will test the limits of tile to interpret your vision and translate it into a finished work that exceeds expectations. 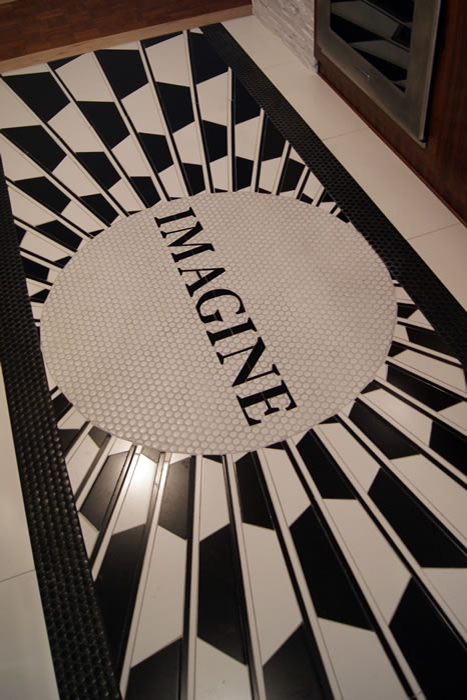 For more information contact Rick Wolf to begin creating your custom space or commercial centerpiece now. 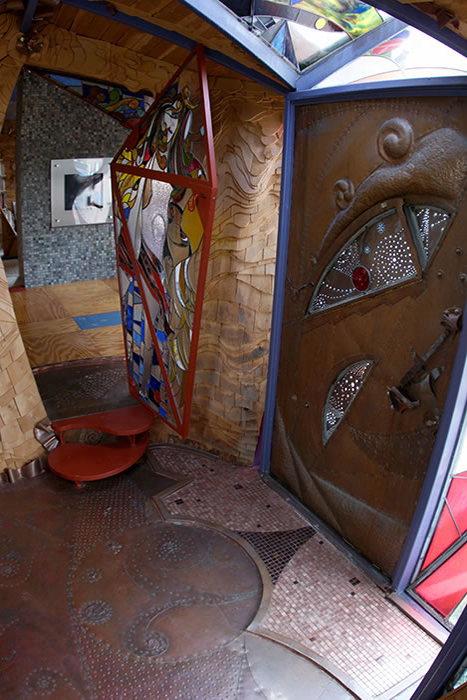 Rick and Leslie are both graduates of the University of Cincinnati’s Design, Art, Architecture and Planning (DAAP) program and studied in custom design and construction under the guidance of renowned architect Terry Brown. 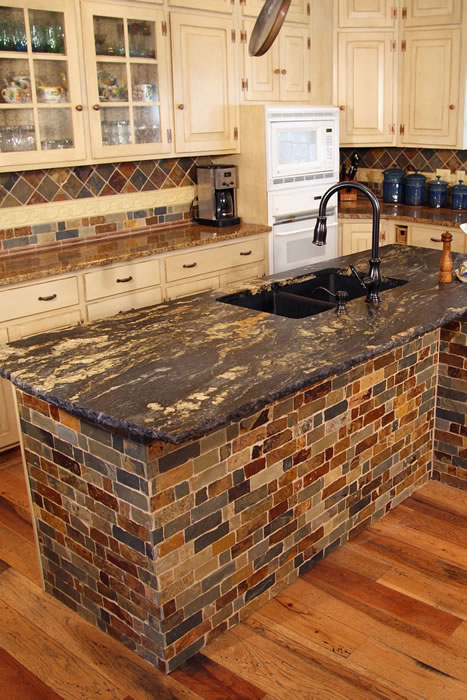 Their work with Terry has been showcased in HGTV’s “Offbeat America” and Home Trends magazine.